If you reside in Nigeria and you want to make money online without paying any money for anybody or any site to start, then you need this fact which describes briefly genuine ways to work online and earn cash even in this part of the world. 1. 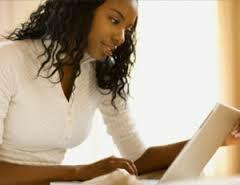 Online Surveys - You don't need to pay money to start online surveys in Nigeria although some people thinks online paid surveys usually do not pay anymore but there are few paid surveys panels that still pays to work online filling forms. So, if you are located in Nigeria, will need a USA address and PayPal. You get paid to your PayPal and the US address to register along with a VPN or IP Changer. 2. Sport Prediction - If you are in Nigeria, you do not need to pay anyone to start making money online from sport betting. Sport prediction is a way to make fast money online predicting scores of sporting events like football, tennis or basketball. Just find reliable sport bet site, register and start making money through it. 3. Blogging : To start blogging or to create a blog in Nigeria, its free and you won't pay any money to start blogging and making money online with your blog. Just create a free account with platforms like blogger or WordPress, post some useful contents, drive traffic to it and integrate ppc programs like Google Adsense, Infolinks, Addynamo etc then you start making money through your site traffic, clicks and visits. 4. Article Writing - To become a good article writer online and getting paid through your works, you don't need to pay any money to start this. What you need to do is find a way of telling blog owners, webmasters that you can write for them and you get paid for your effort. Some sites like Odesk, Elance, freelancers, all accept people from Nigeria to write articles too and get paid for free. If you site has good traffic, you can also make money writing reviews for sites like reviewme and get paid. 5. Fiverr - You can make money from Fiverr and get paid into your Nigerian account without paying any money to anybody. Fiverr is a micro job site where you could earn money through your services also known as gigs. If you know how to do anything interesting or professional , then fiverr is a good site to start with. Its a free way to get paid for your skills. 6. Adverts Space on blog/website - This apply site or blog owners with good traffic. It involves selling advert space, links or text for other blog or site owners with product or services who needs traffic to their site. Its the cheapest way to make money online with a blog without paying any money to start. 7. Affiliate Marketing - This is one of the best way to make money online in Nigeria without paying any money to start. Affiliate Marketing is a good way to earn money online and its very real. Affiliate Marketing is just selling another person's product, business, link by pasting the product banner on your site. You make money based on traffic and sales the banner link get through your site. Just search through Google for the best affiliate site in Nigeria that pays. 8. Earn from YouTube : Since you don't need to pay YouTube before using, then you also do not need to pay any money to to upload videos on YouTube. YouTube is a video social networks where you make money from videos you post on YouTube by monetizing with Adsense or other ppc program. 9. Sell Online : The best way to earn money online without paying any money is to try and sell something online. You can sell your own stuffs, product, services or other people's stuff or by promotion using Facebook ads to brings more traffic to the product. These are ways to make money online without paying money to start. I believe the ideas above are good insight which gives you different online jobs to join and start earning money from it. Thanks for reading.